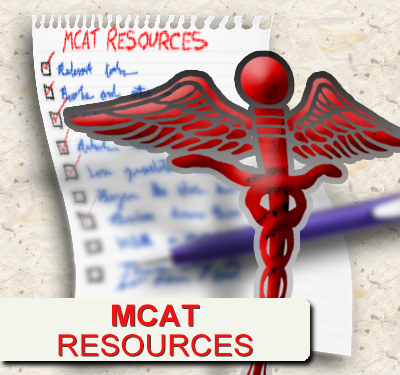 The MCAT’s Critical Analysis and Reasoning Skills (CARS) section is a challenge for many pre-med students. You may have spent your undergrad studying the sciences without much time for casual or academic reading. Also, unlike the sciences you are used to, you can’t study cold hard facts to improve your verbal (CARS) score. But like any challenge, these problems can be mastered. Visit your local newsstand and pick up a fat and reputable newspaper such as the New York Times or Wall Street Journal. You specifically want the printed version rather than the online version. The goal is to get you reading more fluently without mental distraction, and most online newspapers contain a lot of moving or colorful ads. Those won’t help you concentrate the way you need to; The MCAT doesn’t have flashing sidebars. Give the newspaper a new home on your nightstand, then set your alarm to go off 45 minutes earlier than usual. As soon as your alarm goes off, turn on the lights and open that paper. Read article after article on various topics, especially if they don’t interest you. Run to the bathroom if you need to, but then go right back to bed as if you just woke up. Don’t leave this for later in the day because you may succumb to procrastination and not do this as often as required. If you’re anything like me, your brain will absolutely hate you the first few times you do this. While your mind is trying to rest, you’re forcing it to concentrate on something it really doesn’t want to. It WILL be hard at first. You may read the first paragraph 2-3 times without truly processing it. Your mind will wander and you’ll find yourself thinking about the beautiful shimmer of your morning coffee. You’re training your mind to pay attention and focus on the reading task at hand. Think of yourself in that white lab coat! Read just a tiny bit faster than you normally would, but be sure you’re still paying attention. Once you finish the article, take a few seconds to think about what you just read. Why did the author bother to write this article? What was his point of view and goal? That’s it- just a few seconds, then move on to the next one. I recommend doing this exercise at least 4 days a week. Do it more if you’re looking for a drastic verbal score improvement (you may need to start taking naps), and less if your verbal score is nearing your target range. 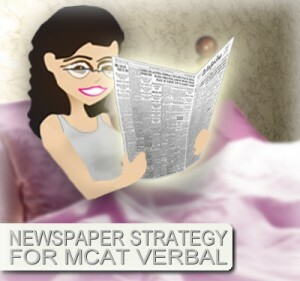 Based purely on my MCAT tutoring experience, it takes approximately 3 weeks of diligent newspaper reading to see an improvement in your verbal score. As you continue reading 3-4 times a week, you’ll notice not only your reading speed increase, but also your comprehension! Not only will you find yourself getting through more verbal passages, you’ll also have an easier time understanding the material and applying what you’ve read to the passage-based questions. But the Newspaper Strategy is only a tool to increase your ability in this section. The real practice and improvement will come from doing actual MCAT practice questions. Your practice should come from two sources only. The first will be your actual full length practice AAMC exams. Every time you take a practice test, you will encounter a complete verbal (CARS) section. Once you receive your score, take the time to review your verbal section as I explained in my article How To Review Your Full Length MCAT Practice Test. Your second source of practice will come from practice passages.This is where you want to be careful. There are many test-prep books out there, and trying to work through too many will only lead to confusion. I recommend choosing one set of practice books and sticking to it. Erin, my 2014 MCAT student, scored a 36 (~516 on new exam), and talks about how she found the Examkrackers 101 passages (amazon referral link) to be most realistic. Click for the entire interview. This has been confirmed by many of my other tutoring clients. The Examkrackers verbal book has over a dozen verbal practice tests. Don’t try to cover too much in one day; instead, spread them out so that you’re taking just 1-2 tests per week in the final 7 weeks leading up to your exam. The verbal (CARS) section can be a challenge to premed students. The Newspaper Strategy will help you improve your reading speed, concentration and comprehension. Coupled with regular review of AAMC full length practice tests and VR practice material, your verbal scores will improve slowly but surely. 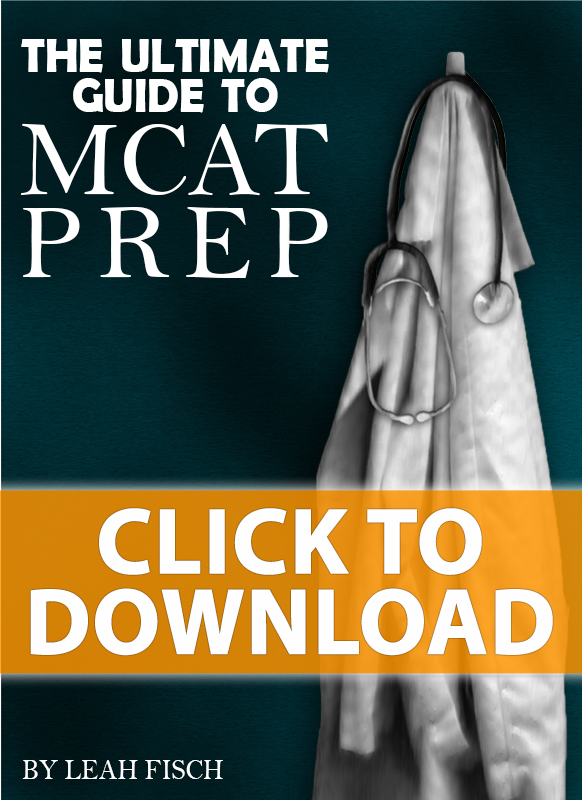 Looking for more MCAT Advice? Click Here for more! Hello Leah4sci my MCAT CARS percentile for this year’s exam is currently at 25% my target is to make at least a 45% percentile. I will not be retaking the MCAT till January 2017. Prior to taking the exam, my performance plummeted from 70th/80th percentile to 20/30th percentile in the practices that I did… And I think it might be because I changed my approach (note taking to highlighting method) in an attempt to complete the section quicker… But it was too late to switch back by the time I realized my error. What would be your suggestion this go around? And do you think it is too early to start preparing for the CARS section using your strategy? Especially since the newspaper strategy seems to be a 3 to 6 week schedule. What would be your suggestions at this point? I will also be in a rigorous post-bacc program from now till May 2017. Any suggestions would be much appreciated and sorry for the length information. It’s never too early to start preparing for CARS because its something that you have to work on continually. If you’re testing in January 2017, I recommend doing The Newspaper Strategy two to three times a week. Mix it up between boring newspaper articles and scientific journals so that you’re improving your ability to read both the CARS section and the sciences section. Thanks for the strategy, Leah! Do you have a similar strategy for the science section? For example, I spend too much time reading the details about a reaction pathway that was used in an experiment or not fully comprehending the experiment. Any suggestions? Hi, Leah! I’m not sure if you still answer comments in this article but I was just curious as to how much improvement you see after a month or so? I have about 2 months until my MCAT. Thanks! Bobby: I’ve seen students improve within 3 weeks, how are you scoring in CARS? You need to figure out why you’re losing points and how you’re tackling passages differently to get more consistent. I’m not a newspaper kind of girl, but I’m willing to give this a try. Thank you for your tips! Is there a preference in terms of what kinds of passages I should be reading from the newspaper (or the kinds of passages I should be reading for practice in general)? For example, focus more on the “economics” section rather than the “sports and entertainment” section? PC: Your goal is to increase your endurance and concentration when reading material that bores you. If you find the topic exciting you’re likely reading the wrong passage. Apart from times, can you please suggest other newspaper we can read ? This sounds like a great strategy going to start it the moment I get my hands on a magazine. One question, how long do you read before you can go back to bed? but I ended up in the Newspaper strategy. Is it the same link? Could I read the newspaper at night before going to sleep? or is it better to do it in the morning because we are more alert and awake? I have students doing this at night, in the morning, on their lunch break… the key is to DO IT REGULARLY! Would this strategy help even if i only have 2 weeks left to study for my mcat? I’ve been scoring average on my verbal reasoning score but it would be nice to give it a boost by a few points. I can do this activity 6 days a week. Also I have a really difficult time concentrating on the passages for physical and biological sciences. Any strategies for that? Thank you, Leah! This looks like it’ll help my verbal! I’ve taken the MCATs multiple times but my verbal is the only one that won’t budge from a pathetic 5 🙁 (I’m terrible at reading…) Hopefully this will work! There’s always two answers that I seem to choose from when it comes down to the final…. but I always get it wrong. Any tips? Thanks! You’re welcome Romi. When do you plan to take your MCAT? Thanks for your advice. You are a star. I am preparing for Gamsat uk which is similar to the mcat. This is excellent strategy. Do you know anything about gamsat and if yes any advice? Thank you for all your tips Leah! I was thinking about a way to practice for the verbal and this is perfect and a great way to stay relevant in current events, which will help you in your interview! Love these tips! Can’t wait to try it! Thanks so much Leah! I will start this strategy ASAP! I love that you posted this article! I had read your interview with Erin and had been wondering what your newspaper strategy was! Thank you! Thank you Elena! Erin was one of the first I timed/tested with this strategy. It takes consistent dedication to see results but they are so worth it.